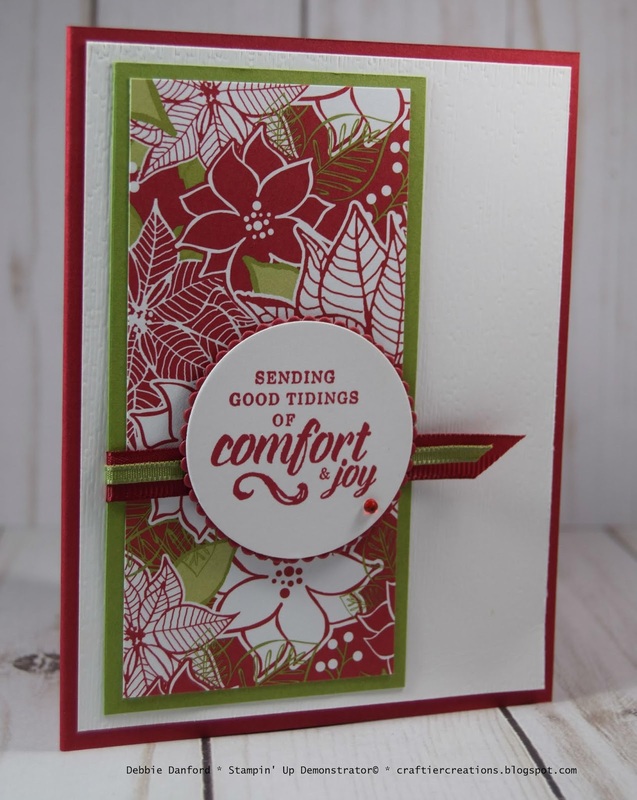 Today I have another card using DSP. I had mentioned on my last post that I was really trying to use my DSP for cards also. This is another really easy card that you could mass produce if you are one of those that sends out a lot of Holiday Cards. 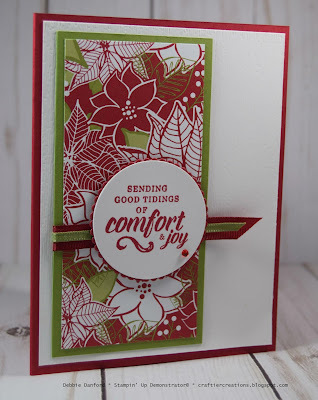 Although it is hard to see it, I embossed the piece of Whisper White with the new Subtle Embossing Folder. But... before you do that you need to die cut the circle out of the Whisper White. Just make sure it's behind where your layers will go. 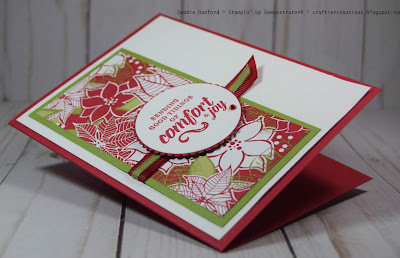 Now stamp greeting and run both pieces through the embossing folder. Attach DSP to Old Olive and attach Real Red and Old Olive ribbon on top. Now attach to Whisper White, and then to Real Red card base. 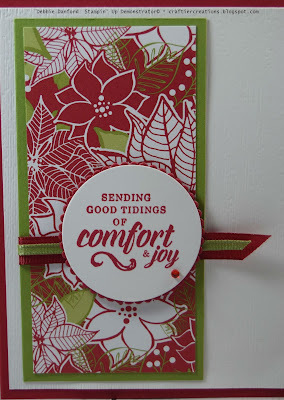 Die cut layering circle out of Real Red and attach to Whisper White. Attach the circles with Dimensionals and add a Red Rhinestone. See very simple!